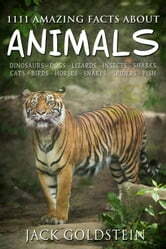 Dinosaurs, dogs, lizards, insects, sharks, cats, birds, horses, snakes, spiders, fish and more! Did you know that in medieval times dogs were known to have accompanied their masters into battle wearing suits of armour? Or that cows from different regions moo in different accents? Were you aware that the courtship dance of some seahorses can last eight hours? Or that an albatross flies much further in a lifetime than the Apollo astronauts did on their moon missions? 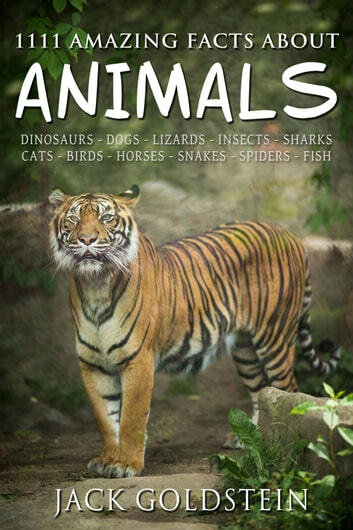 This fantastic book contains over one thousand facts about a wide range of animals, including dinosaurs, dogs, lizards, insects, sharks, cats, birds, horses, snakes, spiders and fish. So if you want to know what the wagometer was invented for, which fish the Romans used as a recreational drug or what the offspring of a donkey and a zebra is called, then this is the book for you!